Why Choose Go Rubbish Go? We have the best team of experts in the area. Every individual in our Enfield Wash rubbish removal team is highly skilful. Our workers are all very hard working and 100% dedicated to providing you with the easiest and most stress-free waste clearance in EN3. So if you would like professional help, you are better off relying on our team, as they certainly know what they are doing and won’t leave you feeling let down. Our previous customers can’t say enough good words about our team. They never let people down and always impress our clients with their work. Call our office now on 020 8610 9182 and we can tell you more about our waste removal Enfield Wash, EN3 services and provide you with any other information you may need. 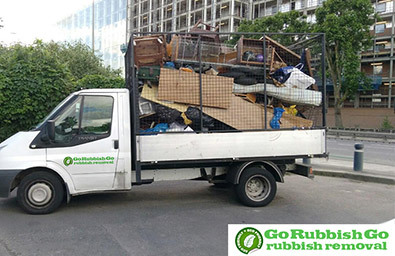 At Go Rubbish Go we will provide you with a complete package to meet all your rubbish removal needs in the EN3 area. We tailor our deals to correspond to your individual requirements. That saves you not only hassles but money too. Our services are delivered by top-notch professionals with vast experience in the industry. Furthermore, they all come at great prices and we do our best to protect the environment in everything we do. So treat yourself to our eco-friendly EN3 waste removal services now. Get in touch today on 020 8610 9182 if you have any questions. Our lines are running 24/7. Did you know that by being more eco-friendly, you are helping the planet and your pocket too? Indeed it is true. That is why we try to recycle everything we can. When you throw anything away, before doing so, make sure it wouldn’t be of use to somebody else. You could donate anything unwanted, as for the things that are damaged or broken, recycle them. We can do that for you if you hire us for Enfield Wash waste disposal EN3. So, you can rely on us completely to make sure you get a green rubbish disposal service that takes the environment into account. We will send all your rubbish to a proper facility in the EN3 region where it will be broken down and recycled in the most eco-friendly way. The only rubbish clearance company I’d hire in Enfield Wash, EN3! Incredibly professional and don’t charge the earth for their services. 5 out of 5 stars and would happily recommend! The Advantages of Our Waste Disposal EN3 Services Are Simply Endless – So Get Booking! Where do we begin!? There are countless advantages to using our EN3 rubbish disposal Enfield Wash service in the EN3 region, so what you hanging around for? 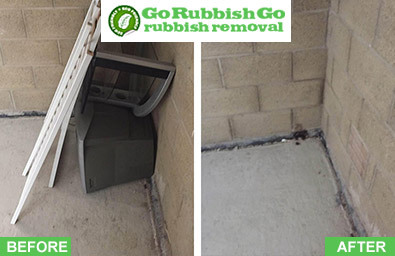 Hire Go Rubbish Go now and we’ve got your back! Not only will you spare yourself a ton of hard work and effort, you will save time too! Just think of how long it would take for you to clear all that rubbish on your own. It would take forever and let’s face it, how many of us have that much free time on our hands? Very few. In addition to that, you will also be working with a highly qualified team of EN3 rubbish removal experts who cater to your every single need. Why Is Using our Enfield Wash Rubbish Removal Services Your Best Option? There are many companies out there offering the same or similar services to ours, but are they as good? Doubtful. We have been running for years and during those years we have learned a great deal about our clients and what they need, as well as what makes a rubbish removal in Enfield Wash smooth and simple. Basically, we want everything to run smoothly and be completely hassle-free when you hire us, so that you do not have to deal with any stress. Leave it to us and we can assure you everything will go as planned. 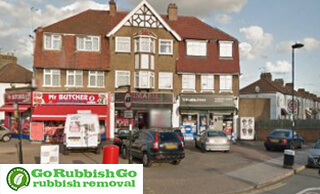 Our waste collection Enfield Wash, EN3 company has thrived over the years and we have a huge loyal clientele. Most of our clients use us on a regular basis for rubbish clearance in Enfield Wash. Book now on 020 8610 9182 and become one of our happy customers. Enfield Wash is located in the northern part of London, in the Borough of Enfield and only Freezywater stands between it and the M25. It is close to Enfield Lock, Bulls Cross and Enfield Highway. The first mention of the name Enfield Wash was in 1675 and it was also noted in a map drawn by the Ordinance Survey in 1822. Turkey Brook flows through the area and Albany Park is a local park built around 1902 on the site of the former College Farm and is believed to be named after the Duke of Albany, Prince Leopold. Enfield Wash doesn’t have its own railway station, but there are two railway stations located nearby – the Enfield Lock and Turkey Street stations. Company Name: Go RubbishGo Ltd.